Experience the Yukon wilderness on this 3-day guided tour during the fall season. Since the weather is still warm enough during the day to enjoy the outdoors, it’s the perfect time to visit the region. 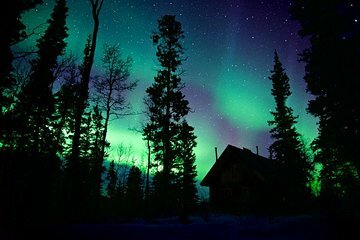 And at night, you’ll have the chance to catch the Northern Lights. Plus, learn how the local Huskies are trained using an ATV, canoe on the Takhini River, and take a soak in the relaxing waters of the Takhini Hot Pools. Hosts of the lodge and dogs are wonderfull. They have hospitality and kindness for visitors. Only one thing that we were disapointed was that we couldn't watch aurora.